When I was first stepping out on my own as an entrepreneurial n00b in the tech field, I was always looking for businesses that were similar to mine where I could borrow some good ideas. 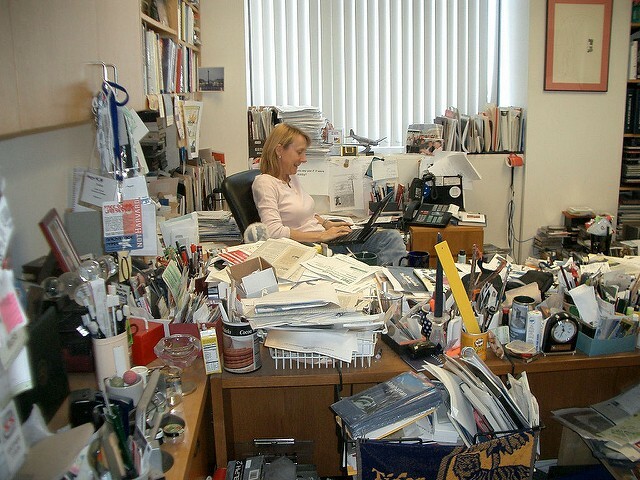 At the time in the mid-90s, Esther Dyson was still running her publishing and conference business, EDventure Holdings, that included her popular tech industry newsletter: “Release 1.0” and her legendary PC Forum conferences. I had met Esther years ago, and she had always been very gracious with me. So, I figured I’d take a chance and see if she would meet with me to go over my new business plan that was loosely based on the same type of model (newsletter publishing, conferences, and consulting). I guess I was looking for some kind of validation that I might have a chance creating a small community in the niche I was covering. I also was curious if she had any advice for me in hindsight. She agreed to meet with me in her office in New York City. It was 1999. After she reviewed my plans and my “list” — the subscribers who were paying to read my newsletter (mostly the Wall Street crowd of financial analysts interested in my sector) — she gave me the nod. She told me I had something and that I should move forward. It was music to my ears. Now, for people who don’t know who Esther Dyson is or what role she played in shaping today’s modern-day technology market, please look her up. Esther is an icon (not to be confused with ICANN, where she was a founding Chairman). So many young women today grouse about the dearth of women in tech, but from the get-go, Esther was a rock upon which many tech startups would be built. She was so interwoven into the fabric of the burgeoning PC sector, I don’t think anyone noticed she was female. I say that to emphasize how her gender never limited her and how the brilliance of her insights defined her influence in the market. In retrospect, considering her powerful role in the tech sector, it was a ridiculous proposition for me to ask her for help. Nevertheless, I’m glad I had the chutzpah to ask, and that she acquiesced. Esther has been an advisor to me for several of my various businesses since those early days. Last time I saw her a couple years ago, I asked her how many of “me” were out there? I was curious how many other female entrepreneurs she helped over the years. She never gave me a straight answer, but my hunch is — many. I decided to write about this now because the best piece of advice she gave me that day I visited her in New York has been haunting me since I started Big Mountain Data. She was referring to her razor sharp, capable friend and founding partner, Daphne Kis, who ran EDventure Holdings for 18 years. Where Esther had the relationships, vision, and in-depth knowledge of the technology sector, Daphne had the organizational skills, intelligence, and discipline to create a profitable company. I recognize now what a humbling and significant admission that was for Esther to mention this to me. It revealed her humility in the face of all her fame and success. She recognized that she needed a “Daphne” to make it work. There were a lot of people who supported Esther in those early days, but Daphne made the trains run on time. After they sold the company to CNET, both Esther and Daphne have continued to make significant contributions to the industry. Today, Daphne runs WorldQuant University and is a vocal supporter for women in data science. She participated in the #WIDS2017 event this year (as did we at a satellite location) and recently did a great interview with Kara Swisher. Esther has been working on her health impact startup, Way to Wellville. Both women are– in a word– legendary. 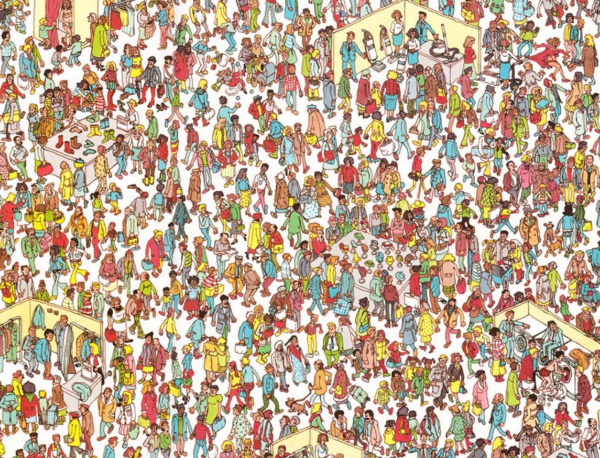 I know she is out there somewhere. She could even be a he. We are an equal opportunity startup, and this new field I’m exploring, speaks to both genders. The work is sometimes brutal. I face challenges every day that run the gamut from casual professional rudeness to closed doors to outright legal threats. And then there are the everyday traumatic events that rattle me from the inside out. I recently recruited about a dozen crime analysts to work with us on a project basis. 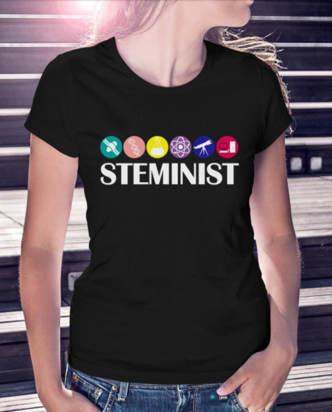 I offered to buy them #STEMinist tee shirts and merch. Free tee shirts are terrific, but the opportunity to innovate and create something special in this field is exciting. Big Mountain Data is a traditional tech startup. We have all the advantages an agile startup has to make a difference in a big market seriously in need of disruption. Plus, we have founders’ equity. You won’t find that at a nonprofit or government job. If you are a Daphne, or know the perfect Daphne that aligns with our mission, please ping us. Women are dying, children are being orphaned, families are being terrorized — every day.